← REMINDER…….VICTORIA SHOW IS THIS WEEKEND…..SEE YOU THERE! 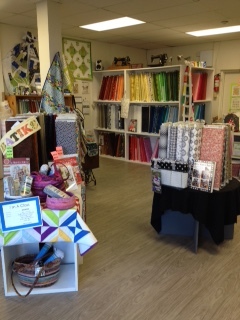 The Quilted Bear in Ladner, BC …….I remember when this store opened….. I lived in Ladner when I first came to Canada and The Quilted Bear was just up the street from where I worked. Needless to say you can imagine how often I was there! The store has had a couple of owners since it opened many years ago. The current owner, Carol, recently refurbished and renovated the store and it looks simply wonderful now……you might like to pop in to browse if you are in the vicinity? See store website for contact details. 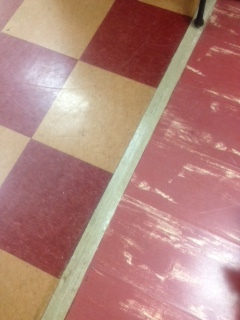 BEFORE Carol’s lovely reno: The original flooring. Check out the other pics to see the awesome new trendy woodgrain look. I was unfortunately unable to be present for the Grand re-opening of the store after the renovations. 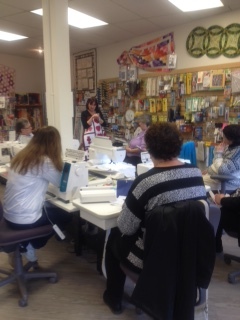 However, a week later we held a Quilting workshop for customers to celebrate Carol’s great new look for her store. 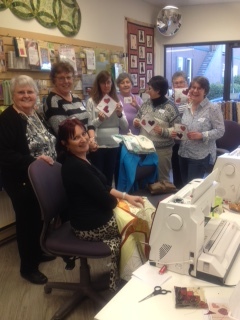 The customers were able to make a Valentine’s mug rug as they learned about what our Janome machines can do. We focused on how our Janome embroidery machines actually DO the machine quilting for us and how we can add applique-in-the-hoop to our quilted projects …..easy, less time consuming and SEW much fun! 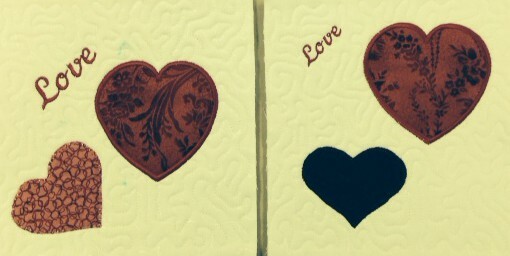 It seemed like everyone had a lot of fun making their Valentine’s mug rug. Congratulations to Carol on her lovely newly refurbished store. Check out the store website for more information. This entry was posted in ACUFIL QUILTING SYSTEM, Applique, Creativity, Janome Embroidery, JANOME EMBROIDERY SOFTWARE, JANOME HORIZON MC15000, JANOME MC 9900, Janome Sewing Machine and tagged JANOME ACUFIL EMBROIDERY, JANOME APPLIQUE-IN-THE-HOOP PROJECT, janome embroidery, THE QUILTED BEAR IN LADNER BC, VALENTINE'S EMBROIDERY PROJECT, VALENTINES MUG RUG. Bookmark the permalink. 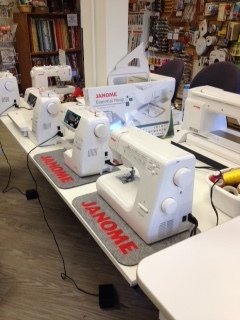 I have been a Janome fan since I purchased my MC8000. I have a Compulock, Jem Gold, the FM725, an MC9000 and an MC10001 which I will soon replace with the 12000. Over the years I have purchased quite a few of the design memory cards which were quite expensive. It disturbs me that there is no way to convert them to a format that I can load on my computer and use with my current machines. I resent that I would have to spend $200 plus to get the disk so I can still have the designs….some of which I am quite fond of. I think Janome should help us solve this problem. I am sorry you think there is nothing you can do….there is! Please ask your local Janome dealer to contact our Toronto office. They will give your dealer the information on how you will be able to send in your old memory cards & ATA cards to be converted onto a CD which you will be able to put into your current computer. There is a cost involved but we do offer this through your local Canadian dealer. Unfortunately these situations arise when technology changes and newer computers just are no longer compatible with older forms of technology. We don’t have any control over this but we do try to help where we can.